Poll: What Are the Best Anime of Fall 2013? Hey all you TAYers, Ani-TAYers, and members of the Ani-Club out there. Richard here from Kotaku East and I need your help again. We are nearing the halfway point of the Fall 2013 anime season. Like in the spring and summer, I am planning to do an article on the anime you should be watching this season. 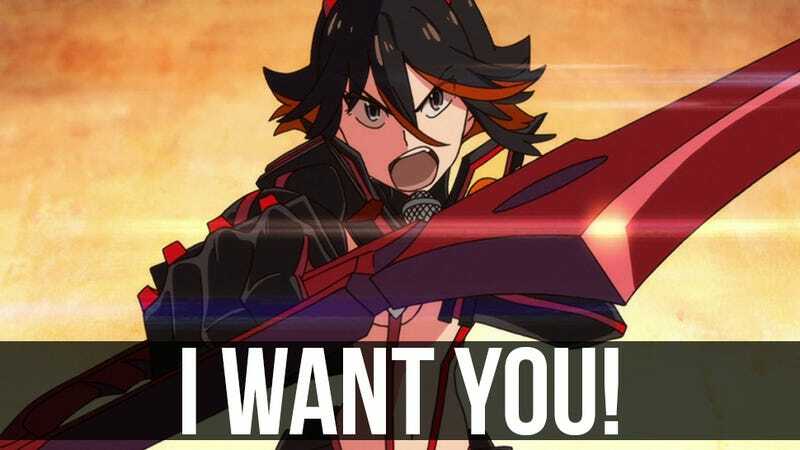 Last season, I asked everyone at TAY to vote on the anime I should be watching. It was amazingly helpful. Thank you guys a lot for your votes. It really gave me a good idea of the anime people cared about and turned me on to a lot of stuff I would have otherwise missed. For last season I ended up watching 12 anime series (of the 36 that were airing). It was a lot but I got a great cross section of the different genres and didn’t seem to miss any of the popular releases. This season, however, there are 49 (!) new anime on Japanese TV. I hope to narrow it down to 12 titles to watch for the article and subsequent reviews like I did last season, but other than the small handful that caught my attention right off, I have no idea where to start. That’s where you all come in. Please vote bellow and tell me which shows I should watch before I write this season’s “must see” article. You don't even have to have watched them, really. If you have seen the trailer and think it looks interesting, that is enough for a vote. Vote for as many of them as you want—not just one. And please feel free to tell me why you chose the shows you did in the comments below (this really helps). So vote away and show me what you think are the best anime of the fall 2013 season!